If USA-Mexico feels something like “Tennessee-Alabama on steroids,” at least according to Dave Sarachan, then relying on college-age professionals to get the job done seems appropriate. Young players routinely compete and flourish under the brightest spotlights (see Mbappé, Kylian), and Sarachan said Wednesday in Nashville—the site of next month’s friendly Concacaf Clásico—that he’ll continue to emphasize youth as the U.S. national team’s post-World Cup era begins. There may come a time when veteran guidance and grit is required. There also may come a time when today’s international newbies can offer it themselves. The 10-month road to the 2019 Gold Cup begins with home games against high-profile opposition—Brazil (Sept. 7), Mexico (Sept. 11) and Colombia (Oct. 11)—and then a trip to Europe for November friendlies against England and Italy. Although Sarachan may be phased out by the time the USA packs its bags, he’ll remain in charge at least through next month’s matches (and is under contract through 2018). And Sarachan all but confirmed during a press conference promoting the Mexico game that he’s got no intention of veering from the path established since October’s loss in Trinidad. Circumstances have changed somewhat. The opponents will be better. The stadiums are larger (the next three games are at NFL venues, while the past three were at soccer-specific stadiums). The Gold Cup is approaching. And U.S. Soccer GM Earnie Stewart, who’ll select the next permanent national team manager, is on the job and searching. Meanwhile, Sarachan said he’s staying the course. He’s fielded very young lineups since accepting the job on an interim basis, and in his six games at the helm he’s given 18 men their senior U.S. debuts. Seventeen were under 24 years old and 10 are Olympic-eligible. Among the 63 players called into camp by Sarachan, 22 trained with the senior squad for the first time. And the average ages of the starting XIs that defeated Bolivia in May (22 years, 160 days) and tied eventual world champion France in June (22 years, 183 days) were the program’s youngest since 1990. During Sarachan’s six-game stretch, the USA has gone 2-1-3 and trailed for just three minutes. Experience is being accrued. Sarachan is expected to reveal his team for the Brazil and Mexico games on Sept. 2. The matches take place during a FIFA international window, meaning he’ll have access to everyone. Those in Europe will be through their preseasons and nearing full fitness, while MLS players are approaching the stretch run. MLS will play a limited schedule during the break, with one game on Sept. 5 and three on Sept. 8. The MLS slate doesn’t have much impact on those who’ve been called up previously under Sarachan. Kellyn Acosta’s Colorado Rapids are busy, but they’re also pretty much out of the playoff race. He should be available and has been playing well since getting traded. Bill Hamid, Paul Arriola and Russell Canouse are potential invitees from D.C. United, which is working itself back into contention and visits New York City FC that weekend. Otherwise, there aren’t a lot of potential conflicts. And that’s revealing. Matt Besler, Graham Zusi and Tim Howard play during the break. So do Dom Dwyer, Jorge Villafaña and Kelyn Rowe. The first three are World Cup veterans over 30. But barring a testimonial of some kind, they’ll likely never play for their country again. The second trio comprises men who were starting to establish their international careers when the USA went off the rails. They’re 26 (Rowe) or 28 (Villafaña and Dwyer). That’s prime now. It won’t be in 2022. 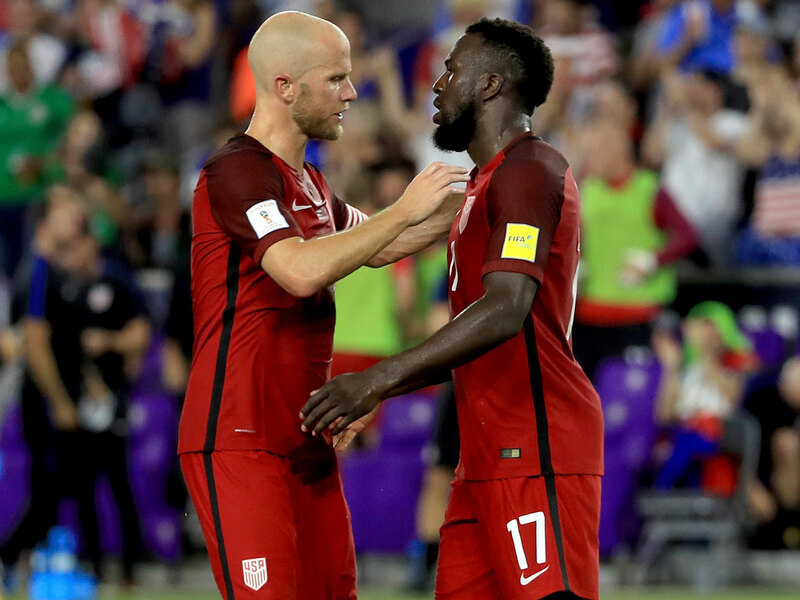 The World Cup qualifying failure and Sarachan’s emphasis on youth means some international tenures have ended abruptly and unceremoniously, while others might see the plug pulled before they really get going. In the parallel universe where Bruce Arena deployed a fresh, defensive/box-to-box midfielder or two against Trinidad, the roster for the upcoming friendlies might look quite different. Instead, a new, long-term foundation is being established, and the list of U.S. players over the age of 25 who seem certain to play a part in its construction is very short. Over the next couple months, the revelations will come on two fronts: which players step up and become incumbents, and which ones are ushered out the door. The interest in both is there. In Nashville, right after Sarachan was asked about the construction of his next roster, he was asked about Michael Bradley. Bradley is 31 and remains, at least nominally, the captain of the U.S. national team. He and Toronto FC teammate Jozy Altidore, 28, symbolize the gray, hazy portion of the threshold the program is crossing. They’re young enough and experienced enough so that, if you had to win a game today, you probably call them in. And TFC is off during the upcoming break. But you don’t need to win a game today or next month, and there are players behind them, from Weston McKennie to Tim Weah, who have talent and ambition and who may as well learn to lead. Bradley, Altidore, Besler, Zusi, Brad Guzan, Clint Dempsey, Alejandro Bedoya, Geoff Cameron, Benny Feilhaber, Dax McCarty, Fabian Johnson, Tim Ream, Omar Gonzalez, Darlington Nagbe, Michael Orozco, Danny Williams—all in their late 20s or early 30s, and all to one extent or another are established internationals whose U.S. futures are in question. None have retired or been ruled out, at least officially. All may have something to offer, but it may no longer be necessary. Play the kids for long enough and they cease to be kids. Wait too long to re-introduce the veterans, and they may be out of sync with a new cultural or tactical approach. Ultimately, those philosophical decisions may fall to Stewart and Sarachan’s successor. Or the transition may just occur organically. Referencing Bradley on Wednesday, but perhaps addressing that entire cohort, Sarachan said, “I’ve known Michael since he was little, so we talk often. But we did speak recently, and I’ve made it pretty clear, I think, over the course of the months that I‘ve had the team that the focus right now has been to offer opportunities for a lot of our young players. The question is, when will the time Sarachan mentioned come? It’s nothing but friendlies between now and the 2019 Gold Cup. By then, the newer players will have had more time together and, eventually, time with Stewart’s eventual choice (if not Sarachan). When would it make sense to bring the best of Bradley’s generation back into the mix? And, many will ask, why?